She was a pretty little thing, and when she first caught my eye, for it was my eye she caught and not the other way around. I wasn’t even aware that she had set her sights on me. For the most part, I was a bit of a show off, confident, funny, handsome (that bit’s faded) and I had no problem talking to girls. That is of course unless you count girls I might have fancied. If I fancied a girl then absolute terror took over. The thing that makes me smile looking back is the innocence of it all. I spent weeks conspiring to be in her presence and she did the same I know. Through all that time we never spoke and everything was communicated through imagined and furtive glances, half fear-filled smiles and choking on opportunities to actually speak to each other. She would pass my house daily at the same time, pretending not to look and I would make myself available to be outside or at a window pretending not to notice her, as you do. We shared the library in common but I suspect for different reasons. I initially went there to read but clearly she was there to pick up boys, well me in any case. Once there, I know she would pretend to study while I lurked and posed as un-nerd like as one can in a library while making sure the book I was holding always suggested some intellectual prowess. I actually thought through my book holding selection, how sad is that? She tossed her hair with increasing vigour and we both panicked when for whatever reason the other failed to appear, assuming the worst – which was that the relationship was clearly over, only to find relief when the other re-appeared the following day. I live in Kildare now, but I grew up in Dublin and Dubs are particularly gifted at extending the boundaries of reality in any conversation. As a rule, Irish people are prone to exaggeration, and will happily develop the most innocuous event into a dramatic story just for the pleasure of it. Dubs for me have particular talent but maybe I’m biased. Now before you think we are all a bunch of no good liars, let me add a caveat. When I say lie, strictly speaking I am not referring to things like, “No darling I didn’t sleep with your twin sister,” or “the money was only resting in my account.” No I mean a rather extended version of poetic licence. I certainly do it at the drop of a hat. 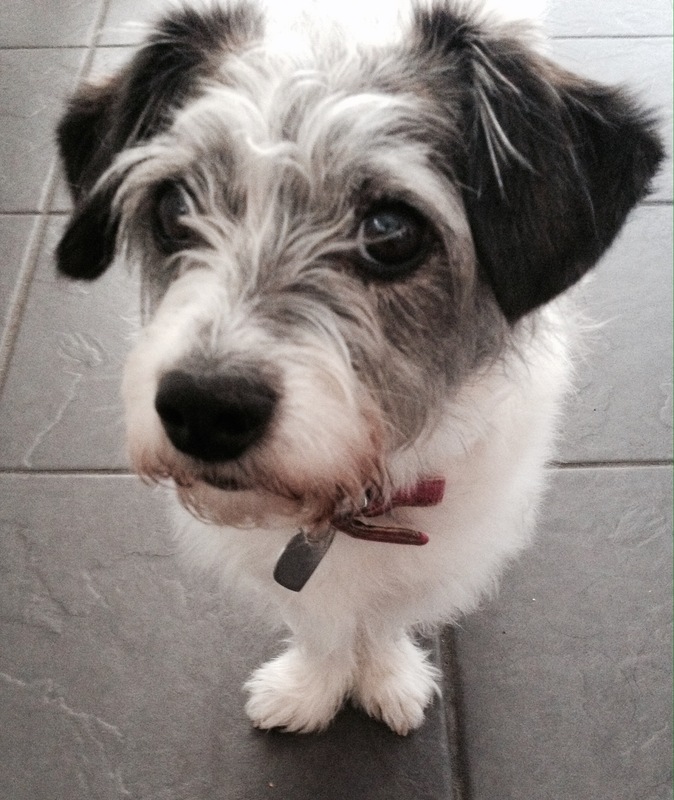 Walking my dogs one day a fellow dog walker admired my little mongrel Daisy and enquired what breed she was. I told him without skipping a heartbeat that she was a Bengal Tiger hound. With no reason to disbelieve, he expressed his amazement and said he had never heard of the breed… well he was asking for a little embellishment now wasn’t he? I calmly explained that they were a rare breed, the pups costing anything from €3,000 to €4,000 each depending on the pedigree and colour. “Get away!” he said. I further explained that they were specially bred during the days of empire in India for Tiger hunting. I could see doubt cross his mind as he looked at my tiny fluffy beast, and that just encouraged me more. What I told him next even I began to believe. The little breed is fearless and extremely intelligent and fast. They would be released when they were sure a tiger was near and the small dog would immediately head directly towards the Tiger in hiding. I watched his mouth open slightly and the tilt of his head as I continued. The dog’s agility meant he could quite literally run at high speed almost to the nose of the tiger, forcing the tiger to react with a swipe of his paw or a snap towards the little dog. At this point its intelligence and agility kicked in and they would swerve at the last possible moment and then continually harass the poor tiger making it focus on the apparently crazed little creature seemingly bent on taking a bite out of the majestic creature’s flanks. This drew the tiger out of hiding and with its attention diverted made it an easy target for the hunter. I walked away with a new friend knowing he would go home and try to tell the same story to someone else but without my ability to carry the story. I knew what they’d say to him. All my life I have watched the skill. I know it’s a learned cultural thing and it is never done with malice. There is such pleasure in the knowledge that you can randomly tell someone the most absurd thing and that they will believe you. It is not to make a fool of someone, no, it is to explore and enjoy the language and interaction. Anyone who knows me knows not to believe a story I tell, but I always leave enough credibility and doubt in there for it to be conceivably both fact and fiction. If you dare watch a soap on TV in my presence, I am guaranteed to tell you I have heard that some lesser character is either going to die, become pregnant or marry. Being a soap, the odds of me being correct are high on all three counts, but bizarrely, the odder I make the notion the more likely it is to happen. I have been right more times than I care to remember. I have been proposed to by a Brazilian lingerie model on top of the Eifel tower (one of my favourite stories) and I turned her down! I once woke up in a tent after a festival I can’t remember, having lost two days, naked between to naked Danish sisters in Australia. I was asked out by Kylie Minogue, – another one I knocked back, and I found a human hand in a biscuit box in the Phoenix Park in Dublin. My first punch to the face by a complete stranger wasn’t a very hard one, but I was fortunate enough to have been well prepared when it came. I don’t know the boy’s name but he had a reputation, was a good six inches taller and a fair few pounds heavier than I was, so being prepared turned out to be very important indeed. Now when I say I was prepared, it was always going to be a shock, but I had been anticipating the liklihood of getting a smack at some point in my young life. Oddly while I remember the events clearly, I find it hard to put a year on it. I would say I was about ten years old. It was certainly not the first time I had been hit. Good Lord I’d been kicked slapped, thwacked, whalloped and pushed in a host of different ways prior to that punch. But it was the first prober, closed fist in the face with a definate intention to hurt, type of blow that I’d had. Where I grew up, little boys needed to be tough or at a minimum demonstrate the outward appearance of toughness. I was a clever little sweet boy, top of the class, making me a swot and not the biggest or imposing boy around. I had manners, was polite, kind and spoke with a softer brogue than many of my classmates. All of this was courtesy of my mother, who while I adored her to bits, made it her life’s mission to ensure I was a good boy, well behaved and properly presented. I always think of that poem by Stephen Spender ‘My parents kept me from children who were rough,’ and while I wasn’t bullied as the victim in this poem clearly was, it reminds me more of my mother’s intentions to keep me safe. But I digress, that first punch and my preparedness were vital landmarks in my development. When I started school at the age of five, I was afraid for about six months. It was a constant in my life. The other boys were raucous, violent and rough as bejaysus. My older brother gave me clues as to what to watch out for and what to do and I listened and learned. By the time I got to the Christian Brothers school at the age of seven, I had pretty much worked out how to influence most situations through intelligence, wit and by standing my ground as though I owned the schoolyard when I had to do so It didn’t take away the fear, but it lessened its constant presence and helped me function. However, that really only worked with the boys that I had daily contact with and strange boys from other schools, didn’t know how clever and sharp-witted I was. For them, I was a neat, tidy little soft looking boy, that they could pick on and trounce. Again, avoiding occassions where such meetings might take place was a vital part of my daily life, but it couldn’t be entirely avoided, such as on the occasion of my first proper punch to the face. I made the mistake of agreeing to visit a friend of mine, who lived in a part of my big Dublin suburb that was unfamiliar to me. We were territorial creatures and crossing the main road was like crossing the Rio Grande in the movies I watched. Beyond was an unknown territory full of Comanche’s and Mexican bandits with big hats and dirty moustaches. I saw my bandit and his muchachos coming from fifty feet away, but there was no getting around him and they surrounded me, forcing me to stop. He was a strange looking boy with a shock of blonde hair and a cruel smile. “Where are you going F**k Face?” That I remember and cursing always seemed to scare me more at that age, largely because I hadn’t the permission to return the fire. Importantly, everything kicked in at just the right time. My brother Brian had told me to always be prepared in such circumstances, not to get sucked into the trap of answering questions, as you invariably set yourself up to look weak. The key he told me, was to take a stand from the off and always strike first and hard if your attacker was bigger than you. One vital piece of information he shared was that in a group, there was generally only one lad the others looked to and he was the one you had to sort out first. If I did that he assured me, the rest would fold. I had no reason to disbelieve him; Brian had seven years’ experience on me, and while I stood my ground, refused to get sucked into the question and answer session and had already decided to hit the boy blocking my path in the nose, I hesitated, largely out of the fear I was trying so desperately to conceal. Looking back it is hard to see why he hit me. I think he sensed it in me or maybe he saw me clench my fist, or perhaps it was my determination not to back off, but out of the blue he leaned back a little and swung a punch at me, which hit me between the eyes. Now there were three things about that punch. First, perhaps because the puncher hesitated himself, it didn’t make a great connection, helped by the fact that I saw it coming and leaned back taking a little of the force out of the blow. Second, while it was the most painful thing that had ever happened to me, I stayed standing. Finally and I’m not sure why, the boy didn’t follow it up immediately with a second one. Perhaps, he thought I would just fold or maybe he hurt his hand. Whatever the reason, I caught hold of the moment and reacted quickest. As though the punch meant nothing, I lashed out with my own little fist. I hit him in the Adam’s apple. I was aiming for his chin. Fortunately for me the result was spectacular. He clutched his throat and went down like a house of cards being caught by a sharp draught. The poor boy couldn’t breathe. He was terrified. His friends were stunned. I thought I might have killed him. I didn’t let it show. Instead I walked into the middle of the remaining boys and they parted like the Red Sea. In that moment I was legend and horrified in equal measure. Guilt consumed me and fought with my sense of relief at having survived the attack. It was an incredible cacophony of emotions. I was ashamed that I had hurt someone so badly, proud that I had stood up for myself, confident because of my resolve, fearful that I should have to go through it again. It was a lot for a small quite boy, but the depth of learning in that moment was significant. I quickly understood and appreciated, how many things conspired to get me out of jail relatively unscathed, despite my sore face. Any number of small alterations in the sequence of events could have ended up with me on my back, beaten up, humiliated and feeling very different than I was actually feeling in the aftermath of my mini-trauma. But knowing that there were alternative endings to my predicament meant I had really learned from the experience. There was no false bravado. The important lesson I had learned was what had worked, what hadn’t and the fine margins in between. Those lessons stood me in good stead ever since. My self-confidence secured the biggest victory that day. I learned to trust in and believe in myself. I knew that whatever might have happened, being afraid was the one thing that wouldn’t help and that regardless of the situation, I could depend on myself to decide on a course of action, but most significantly, I learned that indecision was the biggest danger. That I hesitated almost cost me dearly, that I acted decisively thereafter, saved me. My life took a safer, happier path eventually, but growing up a soft boy on hard streets, maintaining my own set of values, knowing that I could trust myself made me into the man I am today and while I am infinitely capable of making mistakes and self-criticism, I at least know I make my own path by the decisions I make and I have to live and die by them, responsible to the core for my choices, getting stronger when I fail and not getting carried away with my successes when they come. But that said, it was a traumatic book to write as I am so emotionally connected to my characters and it took a huge amount from me in the process. I took enormous risks in writing from the perspective and in the style that I did. But because of my ten year old self, learning to have the confidence to strike out, I was able to take risks that I might never have otherwise done, had that strange little boy with the shock of blonde hair and that cruel smile, never crossed my path.